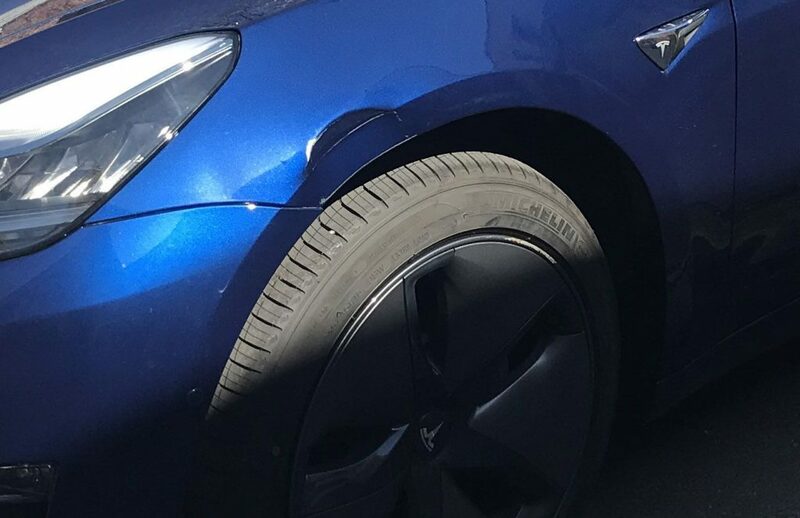 Can You Spot $7,000 Worth Of Damage On This Tesla Model 3? 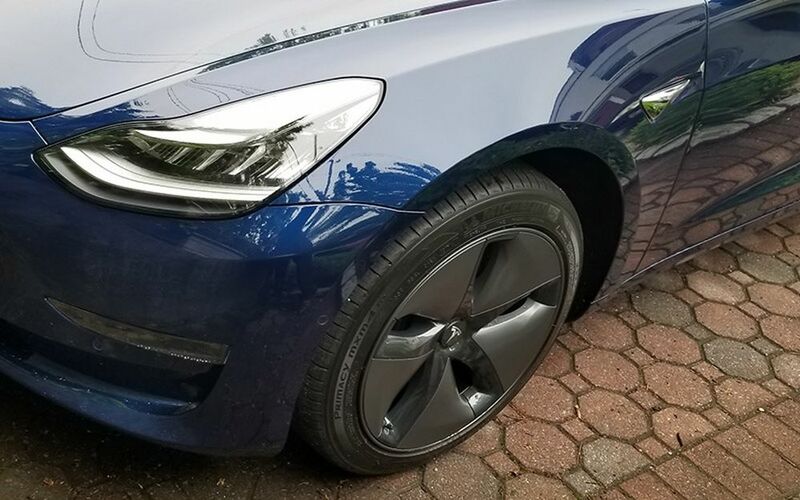 The Tesla Model 3 is the entry point to the EV maker’s range and in theory, it should be much friendlier to the owner’s wallet than say, the Model S.
When Chris Boylan of Clean Technica accidentally clipped a parking sign backing out of a parking space with his brand new Model 3, he expected to pay a few hundred dollars in order to fix the 4-inch dent on the front left fender. 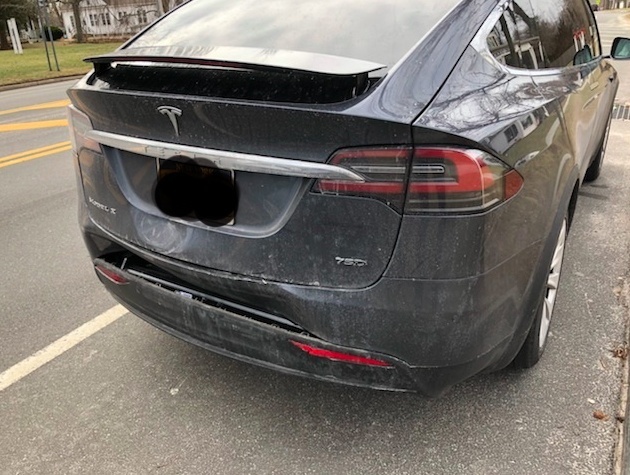 Clearly this is one very expensive dent to fix, especially if you consider the Model 3’s more simple design against the all-aluminum structure of the Model S. As it turns out, there’s still quite a bit of aluminum in the Model 3. Apparently one of the most complicated and labor-intensive parts of the job is the removal and installation of new parts. In order to repair the fender, much of the left side of the car requires disassembly and reassembly and that includes trim pieces, moldings, the driver’s mirror, as well as the front bumper. And once the bumper is reinstalled, you also have to re-calibrate the front distance sensor. 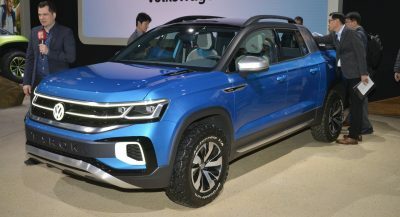 The repair also requires the disassembly of the rear seats in order to access and disconnect the high-voltage battery pack. Eventually Boylan’s insurance company sent their own expert to assess the cost of the damage. The second estimate was not far off from the shop’s own appraisal, at $6,250. The repair was approved and the dent was eventually fixed. WTF is up with the miscellaneous charges?? Are those for the disassembly and reassembly? I’d like to know the exact reason for other and miscellaneous charges, but that’s just me. Either way it seems like insurance covered it anyways. Also, they know they can charge you sh*t-load since the insurance is going to cover it. they would probably not charge that much if it came from the customers pocket. 24h of work to replace fender??? It’s whole 3 days off work from 8 to 5…. Maybe they changing parts with power off mind? Apparently it’s easier to do a heart transplant. BS…3 estimate rule applies here. Surely this shows how poorly thought through the Model 3’s design is? $7,000 to repair a tiny ding in the front fender is insane. This is simply bad engineering. That’s why Tesla is not a real car company and it’s just a toy company of some guy with more money (sort of) than sense. 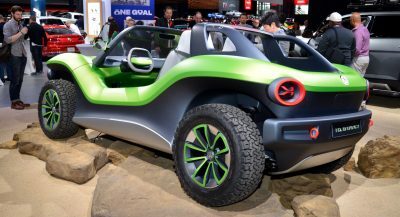 The real car companies, the ones that Tesla fanboys are bashing everyday for not wanting change, having huge inertia, and being stuck in old practices, take into account something called repairability when designing their cars. I (an my friends) owned high end cars with parts made out of aluminum and carbon, all painted in candy multiple layers paint, and I don’t EVER remember a bodywork bill being even a third as high as this one. Also… $125 / hour for bodywork? WHAT THE… Bentley and Ferrari bodyshops charge less than that. BULL. I HAD SOMEONE SIDESWIPE ME RIPPING OFF MY MIRROR. VW CHARGED $500 TO REPLACE IT. EVERYONE HAS THEIR HAND IN YOUR POCKET. BAD ENGINEERING OR GREED ON THE PART OF THE REPAIR CENTER? That is unquestionably bad design. I can’t wait to see how much of the car has to be disassembled if you need to change a head or tail lamp. I wonder how much it would have been on an old Acura NSX which also has all aluminum structure. I had mine fixed in 2006 or so for about $500. I knew the body shop and they gave me a little bit of a deal. Left front fender. A little kid didn’t know any better and left a shopping cart on a slanted sidewalk and it rolled down and came off the curb when he tried to correct it. Hit my baby…. With less than that (4.500 euros) I repleced the entire front of my BMW F30 3-series (bumper, grilles, fog lights, head lights, left front fender and hood repair) in the official BMW service center, including labour, metallic paint and VAT. 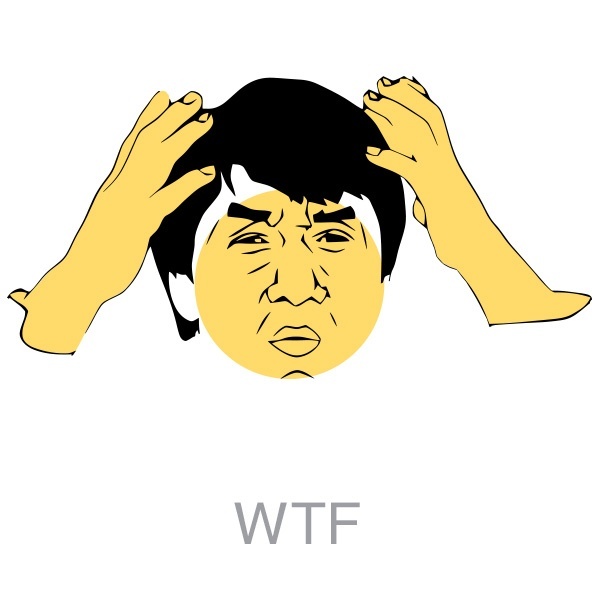 But your BMW is old tech…. Not really. The quote shows some serious design and repair problems with a Tesla 3 Supposedly a Tesla3 starts at $35,000 in the USA. A minor repair costing a 5th of the car, means it will be scrap very easily. 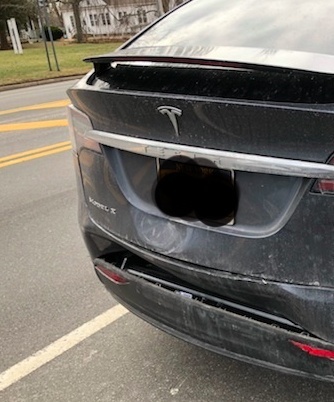 Well, the only good thing I can say is at least now I understand how Teslas can end up with salvage titles with easily repairable damage. 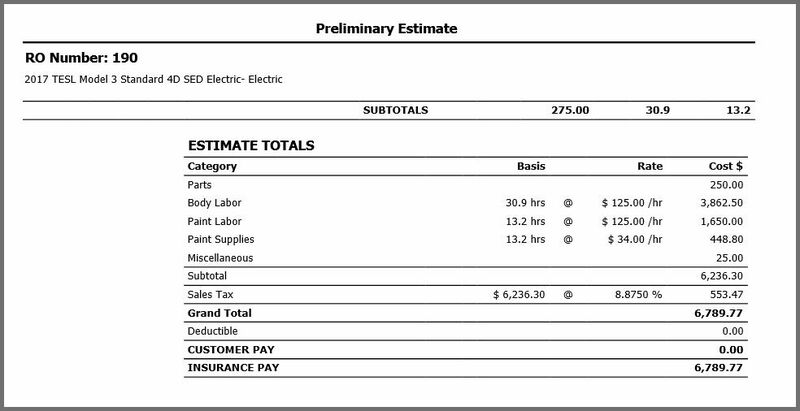 The repair costs and labor is just mind blowing. Oh and don’t buy a salvage titled Tesla otherwise you’re asking for trouble. That pretty much applies to any car. Technology does not come cheap!. Seems like a serious design flaw if you have to remove the rear seats inorder to disable the battery pack. ALWAYS SOMEONE LOOKING TO SCREW YOU OVER. And Tesla claims they engineered the car to be simple to build. But apparently they forgot that cars get body damage. 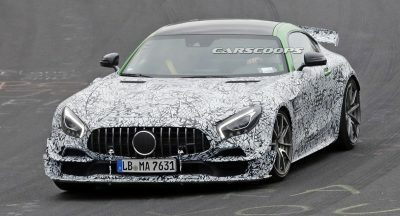 Amateur automaker. Insurance rates will hit the ceiling. Not the “cheap to own car” that Tesla promised. Can you spot $25k worth of damage? Tesla really does need to get a handle on this. Especially if they intend on ever becoming mainstream. Spot the $25k worth of damage?? I had very similar damage on my 2005 Accord that also bled into front bumper. It cost $950 to repair. Yeah there was no blending with front door, but it came out fine. More reasons to not buy one.